Last week I posted about a derailment south of Louisville that had local residents out of their houses for almost a week. Fortunately there were no casualties. Since then there have been two major accidents resulting in deaths. Rather than derailments, these accidents involved vehicles and trains. The first accident, which occurred last Sunday involved a parade and a freight train in Midland Texas. There were four deaths when the train plowed into the parade crossing the tracks. It seems the parade organizers were at fault. I understand that we have arrangements in place to prevent this type of accident in Parry Sound. The second accident is more recent and has resulted in the death of more than 50 children in Egypt. There are limited details, it is a case of a bus meeting a train, and the train winning. 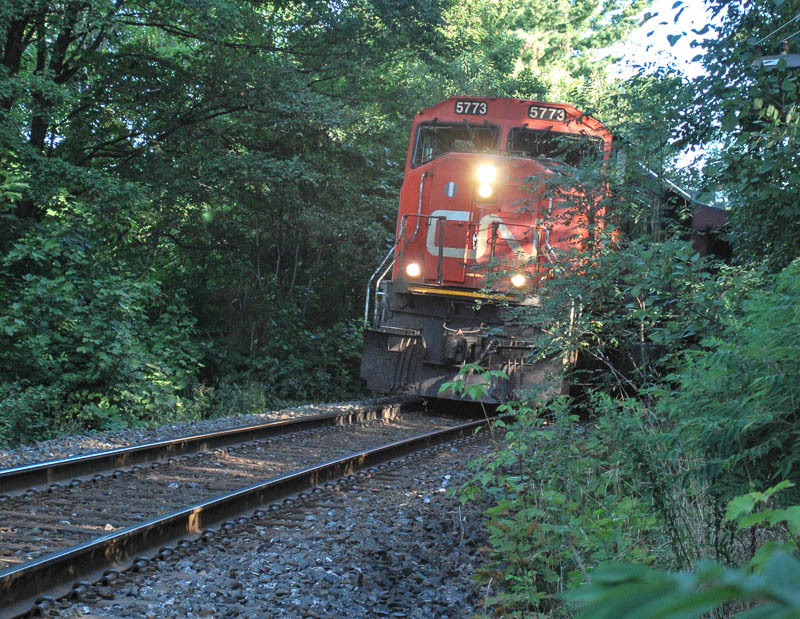 The recommendations of the Parry Sound Rail Safety Committee will be presented at the council meeting this Tuesday. As a citizen member of the committee I found the town staff members and councillors who participated on the committee to be engaged and receptive to the findings and suggestions of the citizens’ subcommittee. In the end it really is our responsibility to protect ourselves from the trains that rumble through the town. They are on a schedule and freely admit that they can’t easily stop trains that can be up to 3 kilometers (1.9 miles) in length and weigh up to 20 million kilograms (45 million pounds). As a town need to take responsibility for protecting ourselves and our children. A very important subject! And yes, absolutely train accidents are preventable. Vehicle/person vs train accidents are prevented first by not trespassing and then by the look-listen-live principal. Each motorist and pedestrian is charged with the responsibility of stopping at a level grade crossing (with or without signals), listening for a train and looking both ways before proceeding when it safe to do so. The warning devices at each level crossing are checked VERY regularly by railway foremen and there is a 1-800 number stuck to the side of them to report a defective signal. I have reported a few defective crossings over the years; there was an immediate order given to all trains to stop and flag the crossing and the defect is always repaired promptly. People who trespass on the railway not only face serious charges under federal law but risk their lives being somewhere they are not expected to be. In my opinion, the issue of rail safety has always been one of education because the railway is already doing everything practical to be safe. The 18-wheeler should never have pulled onto the tracks without a clear path off of them. You must always expect that a train is coming. All buses in Canada must stop, open their door and look/listen before proceeding regardless of warning devices. In Egypt, life is not as valued and railway maintenance is almost non-existent. Good points. I would disagree with the issue about life as valued in Egypt. Like Walkerton it is perhaps a matter of too little regulation, too little oversight and too little attention to details.